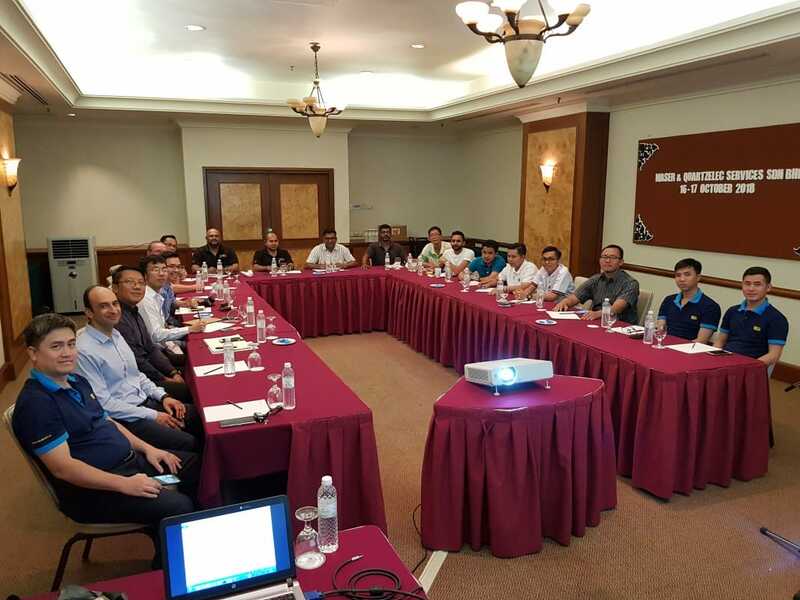 Quartzteq GmbH, part of the Quartzelec group of companies organised a 3-day technical training session for their SE Asia distributors on Partial Discharge Training and Testing on Generators and Motors. Conducted by Bardia Mocharee, Product Manager for Quartzteq, the event took place from the 16-18th October in Kuala Lumpur, Malaysia. With all aspects of Lifeview® condition monitoring solutions discussed as well as Partial Discharge theory and analysis, the event also included hands-on sessions at our Maser & Quartzelec Services Sdn Bhd workshop in Kuala Lumpur. The event was an excellent networking opportunity for all participants, enabling them to share knowledge. Quartzteq GmbH would like to thank their distributors, PT TIARA-Indonesia, VTECH-Vietnam, Advanced Power Equipment-Thailand and Maser & Quartzelec Services for their participation and support. Further information about our condition monitoring solutions can be found on our website on www.quartzteq.com or follow us on LinkedIn.